Medihealing® – A combined meditation and healing that merges the benefits of mindfulness meditation with Pure Source healing frequency. Relax in a meditative state, sitting, standing or lying down, as Mas works on your frequency blueprint to raise your vibration and awaken your own power for self-healing and lifToe transformation. Mas has made this session a Public Service event for women who are welcome to attend free of charge. Spaces are limited, so early registration is highly recommended. Join Mas in this extraordinary in-person, live event where he will open our hearts and our existence to the immense power of the Feminine Divine. The Feminine energy, through divinity, gives birth to the Masculine which in turn gives rise to its own divine energy, as it is a ‘home’ or ‘cosmic mother’ for all of creation. 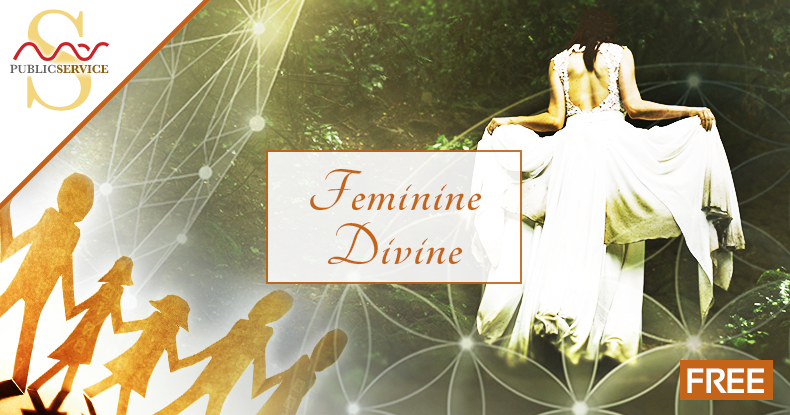 Whether male, female or non-gender, each of us is connected to the feminine energy that cradles our universe and all will benefit from this session. When we tap into the divine origin of the feminine energy, it reveals a path to our higher-self and healing for the soul. Our connection together will also radiate Pure Source frequencies to transform individuals and offer global healing. Mas will facilitate a Medihealing® on "Exponential Intelligence – Feminine Divine" for everyone in attendance, and for Mother Earth and all her inhabitants.